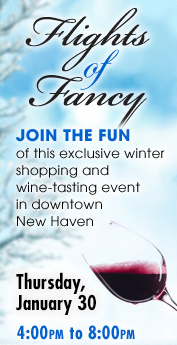 What's Up New Haven: Flights of Fancy 2014 -- Thursday, January 30th! Flights of Fancy 2014 -- Thursday, January 30th! WINE + SHOPPING, anyone? This year's Flights of Fancy is one exciting event that you don't want to miss! Your 20 beans will go a long way with this fun evening out! 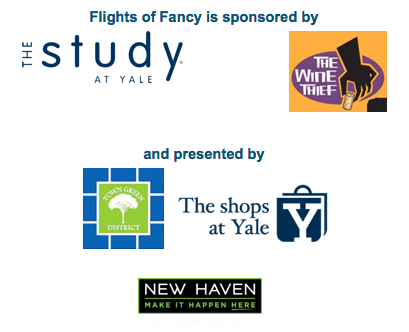 Flights of Fancy is sponsored by The Study at Yale and The Wine Thief, and it is presented by The Shops at Yale and the Town Green District.